On 6th July 2014 at 10:00 Am at Vikasa Tarangini Seva Bhavan District President Smt. 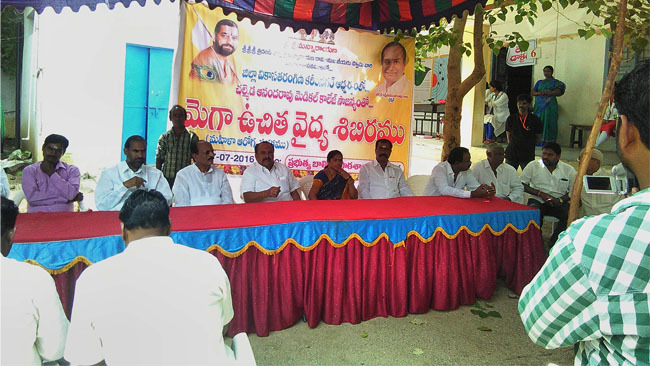 RamaLakshmamma inaugurated the camp. Eminent gynaecologists Dr. Sandhya, Dr. Saritha, Dr.Rajyalakshmi and Dr. Lagedapti Vasundhara rendered medical help to the needy. 114 ladies were screened and tested by the team in NRI Hospital.